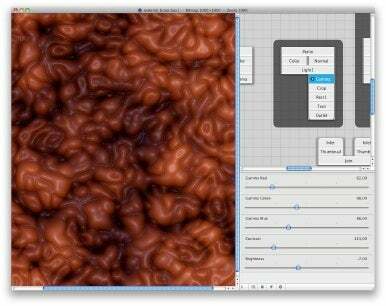 Opcoders has announced the release of GraphicDesignerToolbox for Mac OS X. It costs $40. GraphicDesignerToolbox lets you create modular graphics similarly to how a sound synthesizer works. GraphicDesignerToolbox is a graphics editor that helps you generate textures, compose logos, manipulate photos, produce text effects or graphics for use on the Web and more. It features "adjustable building blocks" to create these effects, similarly to how a modular sound synthesizer works, according to the developer. The goal is to create building blocks that you can tweak and re-use for other projects later. GraphicDesignerToolbox has been in circulation since early 2008 as a public alpha and beta, so this announcement marks the app's general release. Changes since the last build include unified bitmap and vector compositing, and more than 80 building blocks. System requirements call for Mac OS X 10.4 or later, 1GB RAM, 64MB VRAM and 20MB hard disk drive.